The Obama administration on Friday declared a public health emergency in the US territory of Puerto Rico, saying the rapid and widespread transmission of the Zika virus threatens the health of infected pregnant women and their babies. The World Health Organization (WHO) on Wednesday appointed the philanthropist and former mayor of New York Michael Bloomberg as a global health ambassador to help governments tackle chronic diseases such as diabetes, stroke, cancer and heart disease. The Conrad N. Hilton Foundation announced today that a distinguished panel of independent international jurors has selected The Task Force for Global Health, an Atlanta-based international organization dedicated to addressing large scale health problems primarily affecting people living in extreme poverty, as this year’s recipient of the Hilton Humanitarian Prize—the world’s largest humanitarian prize. In this paper, the authors present a mathematical model for studying RBC dynamics in circulating blood during a malarial infection. This blood-stage model has been developed to analyze data from rhesus Macaques infected with P. coatneyi. The Chilean Ministry of Health developed labels for food packages that would help make consumers quick healthy decisions at the supermarket. The labels were a part of a three pronged approach to combat obesity. United States could soon become the first country to approve the commercial use of a common bacterium to fight the spread of mosquitoes that can transmit viruses such as Zika, dengue and Chikungunya. The scale of the Syrian crisis is nearly beyond comprehension: 4.9 million refugees, 6.6 million people displaced inside Syria’s borders. But the numbers don’t tell the whole story. CDC’s Emergency Response and Recovery Branch (ERRB) has been on the scene since 2012, working to protect the health of those affected by the crisis. We have conducted more than 85 humanitarian public health missions related to the crisis, making this our second largest humanitarian response to date, surpassed only by ERRB’s work following the 2010 Haiti earthquake. Three more people in Florida have tested positive for Zika caused by local mosquitoes, including another person who does not live in the one-square-mile (2.6-square-km) area believed to be the hub of local transmission, state officials said on Friday. The Zika virus has been found in the sperm of an Italian man six months after his first symptoms, twice as long as in previously reported cases. A baby born in a Harris County hospital has become the first infant to die from Zika in the US and the first Zika-related death in Texas. Zika virus seems to affect babies late into pregnancy and its symptoms do not become apparent until months after birth. About 120 million people worldwide are at risk for river blindness (onchocerciasis), 99 percent of them in Africa, where 31 countries are affected. “The biggest challenge is the sheer scale of what we’re looking at in Africa,” says Darin Evans, senior medical and technical adviser of Neglected Tropical Diseases (NTDs), at USAID. On June 7, the World Health Organization congratulated Thailand on eliminating mother-to-child transmission of HIV and syphilis, guaranteeing an HIV-free generation. Thailand is the first country in the Asia-Pacific region to successfully transform an HIV-ravaged society into a model for how to address the global HIV/AIDS epidemic. After being polio-free for the over 2 years, the Nigerian Government has reported that two children in the state of Borna have been paralyzed by polio virus.The Government is collaborating with partners of the Global Polio Eradication Initiative, including the WHO to respond urgently by conducting large scale immunizations and strengthening surveillance systems. In the early ’80s, there were 3.2 million cases of Guinea worm — a 2-foot-long worm that emerges slowly — and excruciatingly — from a blister on the skin. 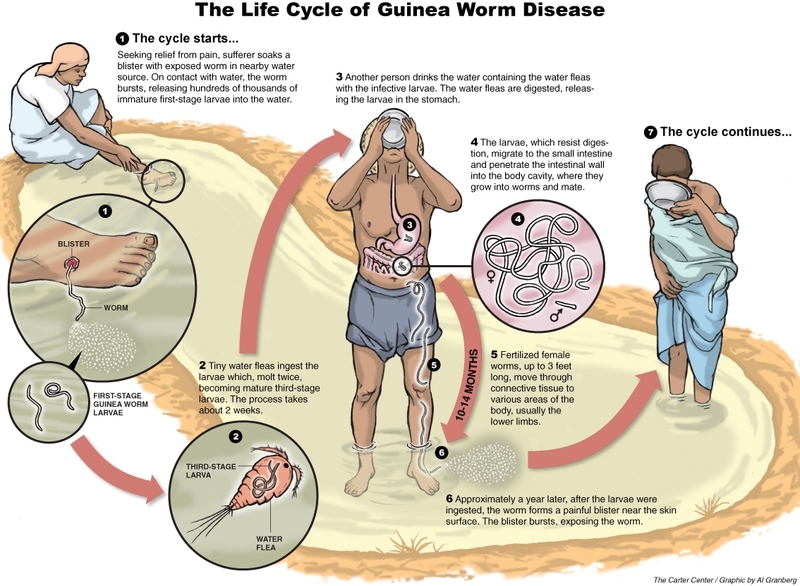 Now, the worm has been linked to dogs and Dr. Donald Hopkins at the Carter Center is leading the effort to eradicate Guinea worm. “I’m confident we’re going to do it. We’ve have already seen 17 of 21 countries get rid of Guinea worm, and it’s stayed away there.” That confidence comes with some serious credentials: Hopkins was key in helping to eradicate smallpox — the only human disease to be wiped out, so far. Pham Sy Long, 28, has volunteered to become the first person in Vietnam to undergo a full head transplant. A new type of mosquito trap running on solar electricity and using human odor as bait has cut mosquito populations by 70 percent in a test on a malaria-ridden island in Kenya, according to a new study. Tuberculosis (TB) remains a major global public health challenge, causing substantial morbidity and mortality. One of the most important risk factors for the increasing TB burden is HIV/AIDS, which contributes to the difficulty in diagnosing TB in co-infected patient. The introduction of the Xpert MTB/RIF represents the first “game-changer” in the field of TB diagnostics in decades due to improved sensitivity, ease of use, and rapid turn-around-time of results made possible by the molecular platform, and in 2010, the World Health Organization endorsed the use of the Xpert device. Humans are acclimating to higher temperatures on Earth, according to a study co-led by Kristie Ebi, a University of Washington professor in the School of Public Health.The findings suggest that people can adapt to gradual increases in average temperatures, though whether that adaptability can be sustained with the advance of climate change is yet unanswered. Recent climate talks have prompted many countries to reevaluate their energy policies and initiatives. As a result, the landscape of India could soon be changing (and getting a bit brighter) with a new focus on solar power. We have to recycle water on a massive scale. The world is running out of drinkable water, and putting a price on the stuff won’t work. But we are well on the way to building a circular water economy. Between rising population, megacities, pollution and climate change, the next few decades will see water stresses on a vast scale. The grave difficulties already apparent in the western US and Australia will afflict many more areas of the world. Ethiopia is gripped by the worst drought in decades; with it comes the spectre of famine. Japan and New Zealand will formally approve the Paris climate agreement this year, officials in Tokyo and Wellington confirmed on Wednesday. An Indonesian central government minister’s comment about banning LGBT people from college campuses led to an immediate backlash and hostility toward the LGBT community. In response to the Human Rights Watch groups criticization, Indonesia has said that there is no room for the LGBT movement in their country. These events unfolded in a country where homosexulaity is not illegal and has had a largely tolerant attitude towards the LGBT group. 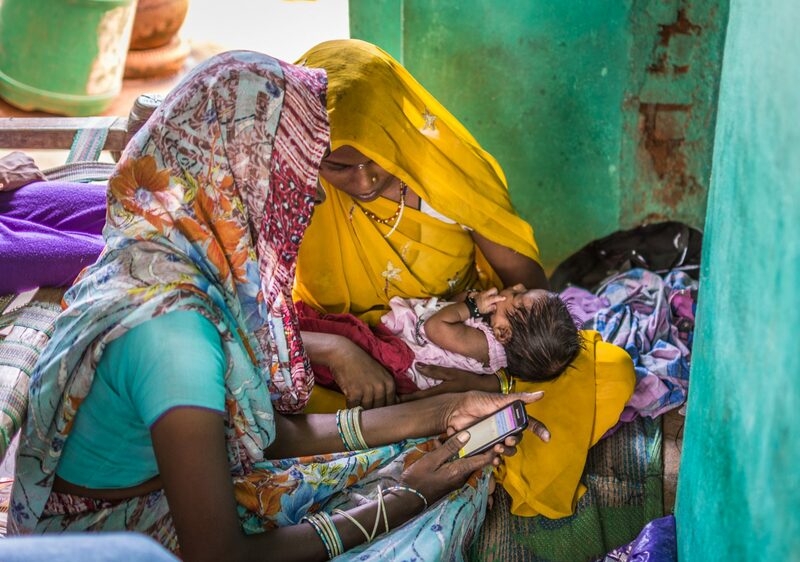 Analysis of data from the Global Disease Burden Study shows that Indian women have some of the highest suicide rates in the world. Former assistant director general of the World Health Organisation told Australian policy makers that poverty is a critical health issue. Doctors Without Borders (MSF) has decried the high cost humanitarian organizations pay for vaccines – up to 20 times the normal prices – for vulnerable children in refugee settings. MSF and Save the Children are calling on drug companies to lower vaccine prices. The global news round up was prepared by the communications team.